School is about to start back up and that of course means it's time to get back in the habit of packing school lunches. Help make it easier for parent's to come up with healthy packed school lunch ideas that their kids are actually going to want to eat. We put together 5 free PLR articles and 5 delicious recipes for you. Post them on your blog, use them in your newsletter, or compile them into a new lead magnet to help you build your list. 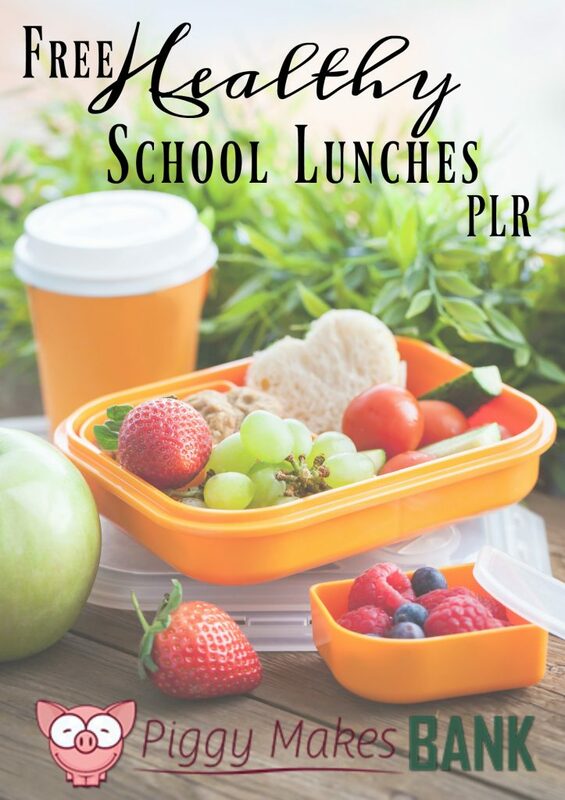 If you want to help your readers make packing school lunches easier and more fun, you can get this incredibly value-packed bundle for FREE. Simply Register Below and receive an immediate download. That's a total of 5 articles FREE (400+ words each) and 5 recipes. Give your readers the content they are looking for!